This July, Kate and I traveled around West Africa to scout some new regions for potential CWS expansion. We visited Liberia, Burkina Faso and Togo and are documenting our trip in a series of blog posts called “CWS on the Road.” The funding for CWS’ expansion trips came this spring from an anonymous donor – THANK YOU for supporting CWS and allowing us to explore the possibility of working in new regions! 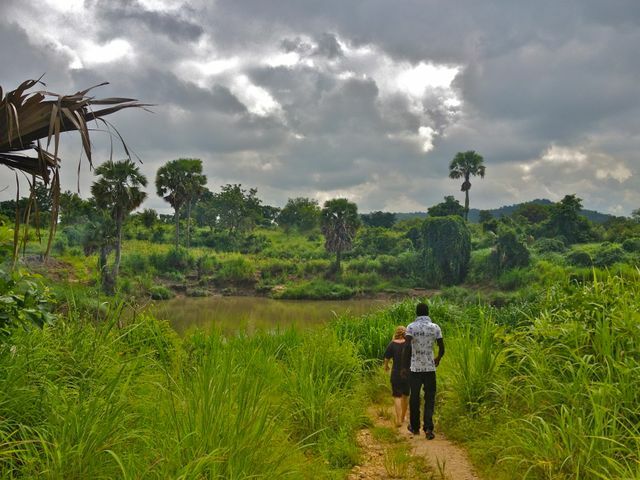 After a whirlwind week in Burkina, Kate, Peter and I headed south into Ghana’s svelte neighbor, Togo. Though in terms of latitude Togo and Ghana are identical, in terms of attitude these neighbors are worlds apart. The first noticeable difference between Ghana and Togo is the official national language: Bienvenue au Togo, Ghanaians! Luckily, after a week in Burkina, Kate and I were confident in our ability to get food, shelter and water-related information out of any French speakers that crossed our path. Even our driver Abdullah, whose dislike of all things not Ghanaian was so extreme it was comical, got into the swing of things. He quit CWS’ french class after ”bonjour” and ”merci”, but anything was an improvement from his initial, high – volume ”You Speak English?!*#?”. 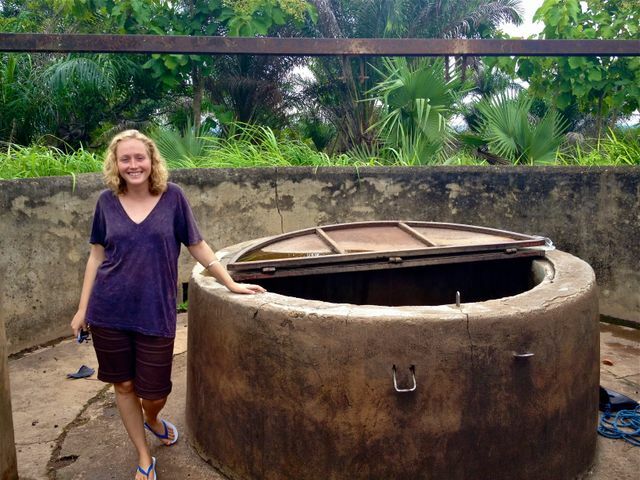 CWS staff welcomes YOU to Togo! For our first Togo trip, we decided to concentrate our efforts in its’ northern region, basing day expeditions out of Dapaong and Kara. We settled on this strategy for two reasons. First, we wanted to choose one region of the country and spend more time exploring it in-depth. Second, we thought that the geology, hydrology, social and political conditions of Northern Region, Ghana, that makes CWS’ work particularly appropriate there might extend into parallel Togo. Peter checks out a barrage in a small community outside of Dapaong. Though this village has a working pump, they use their dam to water their cattle and to wash their clothes. Our strategy paid off. Over the course of four days we were able to explore many back roads and talk to Togolese people of many different walks of life. 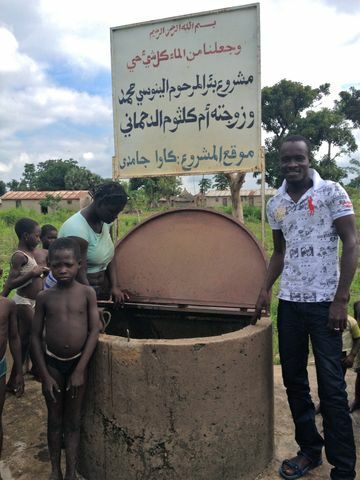 Everyone from the immigration officials to priests to farmers to (practically Togolese) Peace Corps Volunteers had a different take on the water problem, but (unlike our Burkina experience) most did view access to clean drinking water as a pressing regional concern. Though many communities do have groundwater pumps that supply them with clean drinking water, in many places the number of these pumps is inadequate to meet all drinking water needs, or the distance to the nearest pump is too far to make the daily walk worthwhile. In other smaller or more remote communities, hand-dug wells or streams are the only source of water at all. 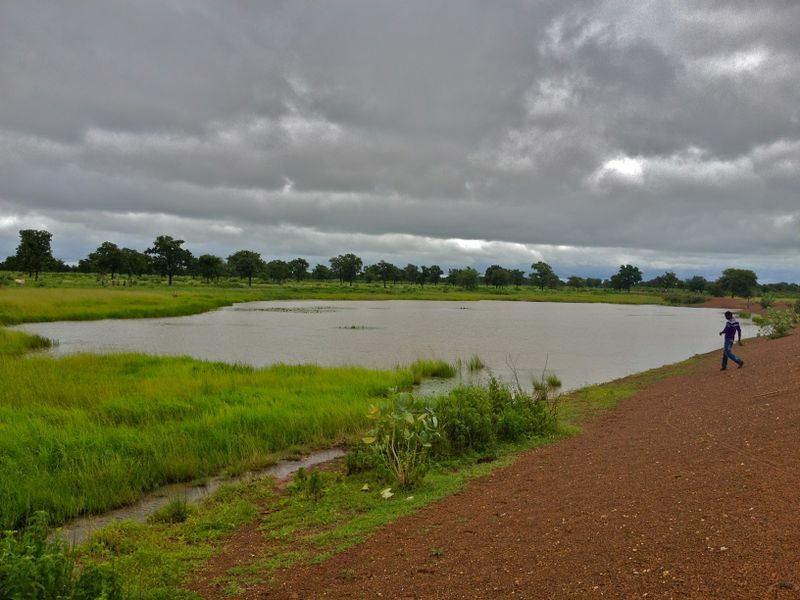 In this community people rely on water from open wells to meet their drinking water needs. The community had a pump that broke and there are no immediate plans for repair. Women collect gravel from a stream to sell for construction purposes. Water from this marigold will also be used for drinking. Another long-standing well where people come for water. In considering the northern region of Togo for potential expansion, we are evaluating several things. Obviously the first is need. From what we found this trip, the need in this area of Togo, though not as large as in Northern Region Ghana, is there. The second major thing we are evaluating is appropriateness of the CWS solution. Will we be able to w0rk the exact same way we work in Zanzugu or Yapelsi in a Togolese setting? No. Way. 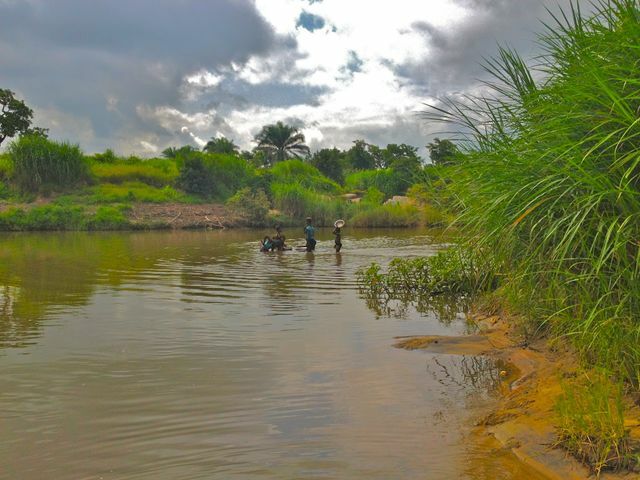 Community structures are different, water quality is different, language and staffing considerations are different; many important determinants of what we do and how well we do it in Northern Region would need to be evaluated here in Togo before we could begin to consider setting up shop in Kara. And while we are a technologically-agnostic, small and flexible organization, we don’t want to re-invent the wheel or come up with a solution beyond our capacity. Basically, we will need to see a lot more, both in Togo and in other places, before we can decide where our time and energy will be spent most effectively. However, these four days were a great introduction to a wonderful country! I look forward to using what I learned this trip in the next few weeks and months, and hopefully getting back for round deux to learn more!